The following article is written by Commodore Eric Thompson. He received a scholarship to Dartmouth, volunteered for submarines and thirty-seven years later retired as Commodore of Britain’s principal nuclear submarine base at Faslane. His memoir On Her Majesty’s Nuclear Service will be released in February. 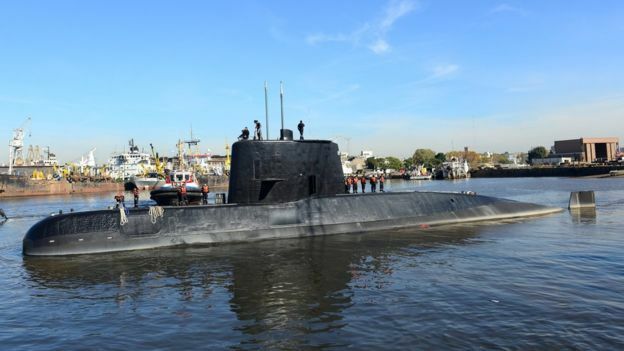 The disappearance of the Argentine Navy submarine San Juan is a reminder of the risks faced by submariners in the service of their countries. Submarine disasters are rare but submariners are exposed constantly to multiple hazards and must continuously observe strict safety disciplines. Even so, problems can arise which are beyond the control of even the best-drilled crew. The greatest hazards are fire, flood, explosion, collision, material failure, toxic atmosphere and, in the case of nuclear boats, radioactivity. These exist without enemy action. The San Juan was a German-built, diesel-electric submarine. She entered Argentine Navy service in 1985, was thirty-two years old and no doubt suffered age problems. Indeed, she was returning to base because of a main battery fault, a two thousand mile voyage in hostile sea conditions. USS Thresher was sunk in 1963 with all 129 crewmembers lost. In diesel-electric submarines, the battery is crucial; it is the only source of power when below periscope depth. Without electrical power, a diesel-electric submarine can neither propel nor pump out excess water which may be causing her to sink. As San Juan sent no further signals after reporting a battery problem, it may be concluded either that she had lost electrical power, at least to her radios; was below periscope depth and unable to transmit; or her crew had been incapacitated; or all three. The Comprehensive Nuclear Test Ban Treaty Organisation (CTBTO) in Vienna reported an unexplained non-nuclear explosion in the South Atlantic at the time of the San Juan‘s disappearance. That explosion could have been either an on board explosion or the hull collapsing at depth whilst sinking to the deep ocean floor. An internal explosion could have been caused by hydrogen coming from a damaged battery system or by a torpedo detonating, the latter seeming unlikely given the known battery problem. The explosion could have incapacitated her crew, caused a major leak, and denied her all power. Hull collapse would have been inevitable if she was off the continental shelf and sinking. Above a certain depth, the crew could have blown her buoyancy tanks – that does not require electrical power – and surfaced, but in heavy seas she would still require power to retain buoyancy. If the atmosphere on-board was toxic following an explosion, the crew, if still alive, would then have faced the option of death by gas poisoning or by drowning – there is no upper deck on a submarine and liferafts are not carried. The disappearance of the San Juan may never be explained though loss of all electrical power due to a battery explosion seems most likely. In 2000, Russia’s Kursk was lost due to a torpedo explosion. The Soviet Komsomolets sank in 1989 as a result of a devastating fire. 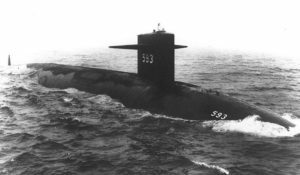 In 1963, the USS Thresher sank due to flooding caused by a burst seawater pipe. The cause of the last British loss, HMS Affray, in 1951, remains unknown but is thought to have been due to material failure whilst snorting (snorkelling). A few men escaped from Komsomolets only to be drowned; the other boats sank with all hands. Submarines do not fail safe.